Laura Coward sentencing. Pictured the victim, Amber along with her father with the mother top right. Laura Coward sentencing. Pictured the victim, Amber Lucius along with her father, Duane Lucius. 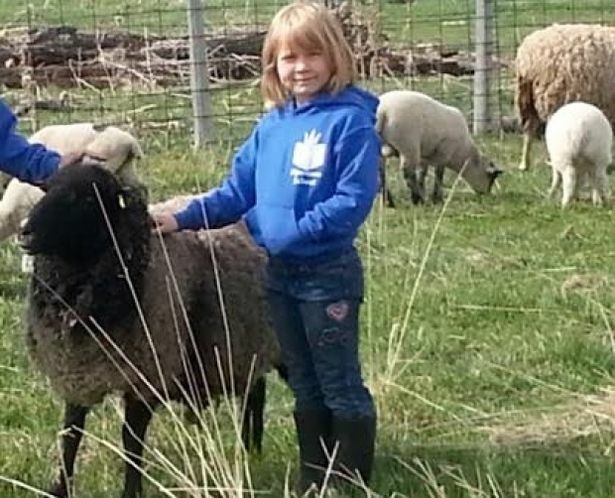 Laura Coward sentencing: How a mother murdered here nine year old daughter to spite the child’s father after losing full custody to her former husband. 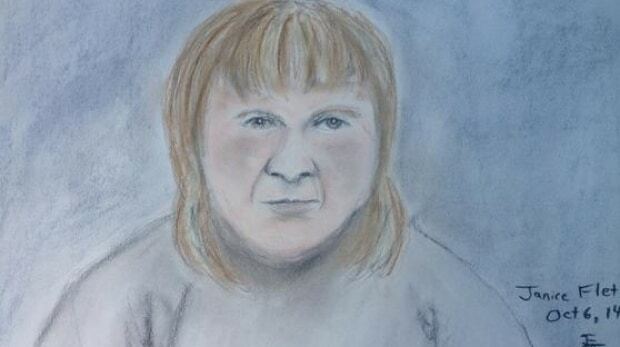 Laura Coward a 50 year old Canadian woman who poisoned and burned her daughter to death has been sentenced to life in prison with no chance of parole for 18 years. 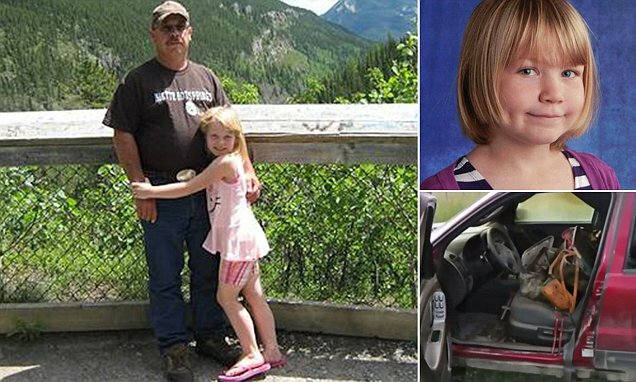 The woman’s sentencing on Friday comes after the Calgary mother pleaded guilty last month to the second degree murder of her 9 year old daughter, Amber Lucius during a bitter custody battle with her former husband. Three days prior to the murder, the former couple’s divorce was finalized, ensuring the father full custody of the daughter. Rendering her sentence, Court of Queen’s Bench Scott Brooker said Coward’s sentence must reflect ‘society’s disgust and outrage’. A report via CTV News cited the Justice saying Coward deserved credit for pleading guilty and for her apparent remorse, while at the same time pointing out the mother never explained her motive for murdering her daughter. Brooker added that the murder was vile, random and senseless and appeared to have been revenge against Coward’s former husband, Duane Lucius. Court documents described a bitter divorce between Coward and Lucius. Coward and Lucius separated in October 2007. Despite 10 court orders directing Coward to allow Lucius access to his daughter, Coward did not comply and Lucius was granted full custody of Amber in June 2013. 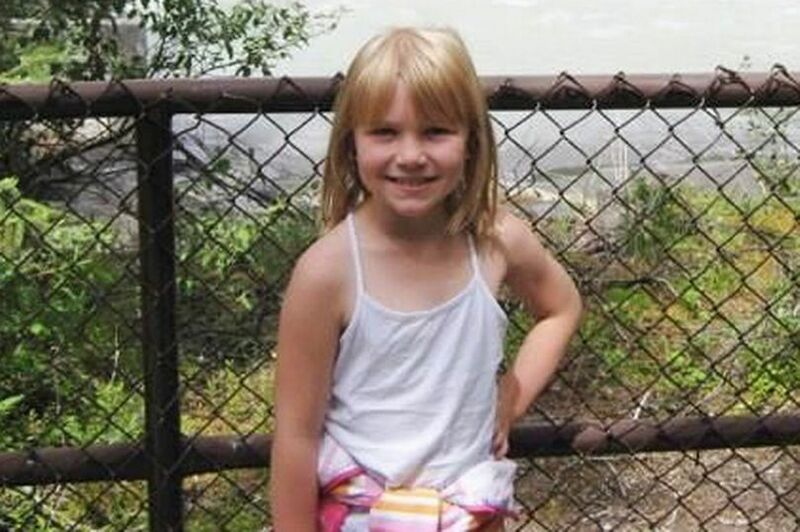 A custody tug-of-war over their daughter had continued up until the girl was found dead. Laura Coward sentencing. Pictured the defendant during trial. Matters came to the fore in September, 2014 when Amber Lucius was reported missing. Prior to Amber’s disappearance, the mother had told she was taking her daughter ‘stargazing’. Two days later her mother was arrested. 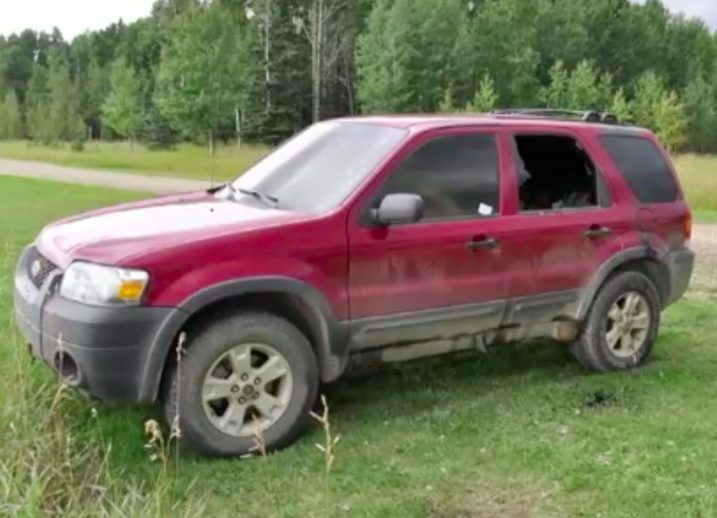 Police found Laura Coward near Sundre in a remote location, in west-central Alberta, standing beside a burned truck in which her daughter’s body was discovered. Coward had been with Amber for the Labor Day weekend where upon she gave her daughter a non-lethal dose of a prescription sleeping aid. 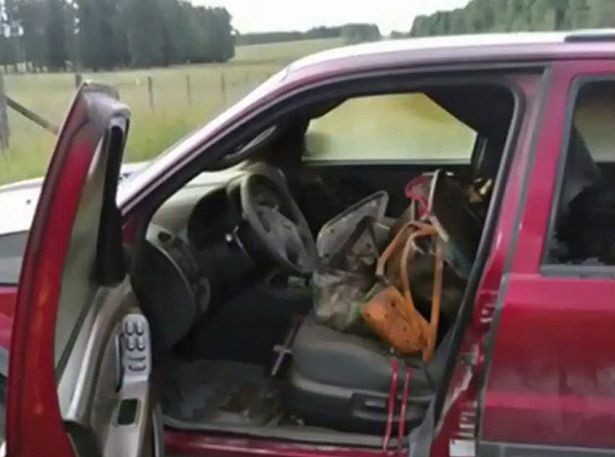 She mistakenly thought Amber was dead and filled the inside of the truck – where her daughter lay unconscious – with paper and plastic totes before closing the door and setting it on fire with a propane torch. An autopsy report told of Amber dying of a combination of hypothermia, smoke inhalation and carbon monoxide toxicity. Laura Coward sentencing. The burnt out vehicle where Amber Lucius’ body was discovered. Laura Coward sentencing. The mother was found standing next to the burnt vehicle. Laura Coward sentencing. 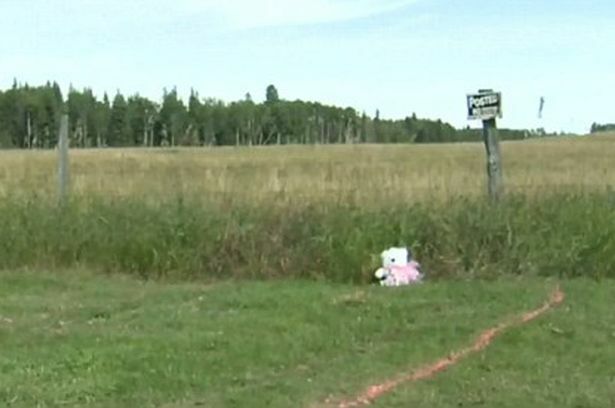 Pictured the remote Alberta, Canada field where Amber Lucius was driven to before being murdered. During her sentencing, the mother begged her friends and family for forgiveness. ‘I want to say to the father, my family, friends that I’m responsible for my choices and I beg for their forgiveness and I plead for your mercy,’ she told Brooker. The father in turn said he would never forgive her for the pain she caused. ‘I feel upset (about) how someone could do something like this to a little, innocent girl with a whole life ahead of her,’ he said. Coward’s sentencing comes after she was initially charged with first-degree murder, copping a second degree murder plea deal last month pursuant to her confession. Prosecutors proposed a 20-year parole ineligibility, while the defense asked the judge to consider allowing Coward to apply for release after 10 to 12 years. In his 30 years as a prosecutor, Mac Vomberg said this is the most disturbing case he’s seen. Pictured Laura Coward victim, Amber Lucius.